A self-described "skeptical believer," Stemman uses his skills as a professional journalist to perform an in-depth exploration of reincarnation. Using case studies, anecdotes, and physical evidence from the best-documented cases from around the world, Stemman shines a bright light on this subject, inviting readers to decide for themselves on the basis of facts, rather than on the basis of hearsay, speculation, and superstition. Readers who love Brian Weiss�s Many Lives, Many Masters and Only Love is Real will appreciate the depth of study that the author brings to this work. Topics that have long been scoffed by skeptics, past lives and reincarnation are enjoying a revival of mainstream interest after prominent medical professionals and scientists have added their personal experiences and research to a growing chorus of proof that the afterlife is no myth for the weak minded. Neurosurgeon Dr. Eben Alexander�s book, Proof of Heaven, is one such example. The truth is, a deeper exploration of the human psyche and transpersonal psychology offers a frontier for the brightest minds of our day. Roy Stemman has been researching a range of paranormal subjects since his teenage years. 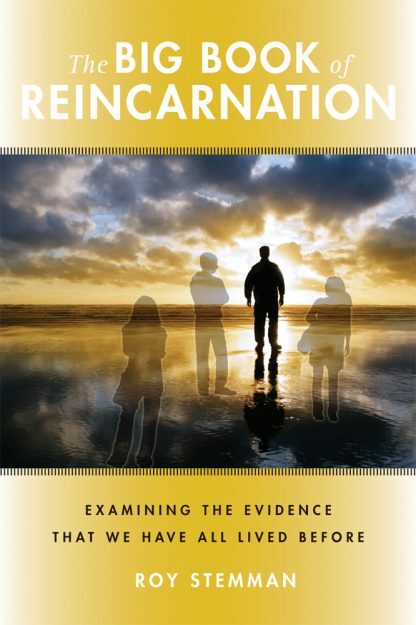 A professional journalist and self-described "skeptical believer," Roy applies a scientific analysis of the claims made by those working in the fascinating area of reincarnation. He is the author of numerous books.